Cancer affects our lives every day, and cancer in our pets is no exception. We are constantly on the hunt to find better, more effective ways to treat and hopefully cure cancers of all types. 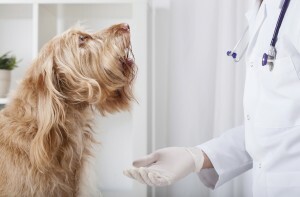 Oakland Veterinary Referral Services has an oncology department dedicated to helping our patients beat cancer, and this means incorporating the newest and most promising techniques into our treatment protocols. Maybe your neighbor’s dog has been handed a very sad prognosis, a co-worker’s cat has passed away suddenly, or your sister is spending thousands of dollars on treatments for her guinea pig. These situations can be difficult. Even for the most experienced of us, it is hard to know what to say and how to react. 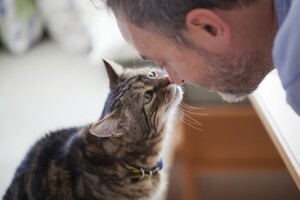 It is especially challenging for non pet owners who haven’t experienced the human-animal bond themselves. Thankfully, there are a few tricks to help know what to say (and not to say) in uncomfortable pet situations. As Valentine’s Day approaches, do you find yourself wondering what type of treat to purchase for your precious pooch or cuddly kitty? Are you almost as (or maybe more) excited about spending the evening curled up by the fire with your four-legged-friend than your significant other? When you think of love, is your pet one of those that comes instantly to mind? If this sounds like you, rest assured that you are not alone. According to a recent survey from the National Retail Federation, one in five Americans will be pampering their pets this Valentine’s Day, spending an estimated $703 million on pets from dogs to goldfish (yes, even some goldfish get gifts on Valentine’s Day).